VPN services are everywhere these days, and it’s essential for your online security to make sure you’re using one at all times. But how do you choose a VPN service? With so many options it can be confusing. Every service claims to be the “Best VPN,” and with many websites ranking “Top VPN” services, it’s difficult to know where to turn or ultimately, who to trust. That’s why we’ve put together a list of 8 of the best tips to help you choose a VPN service. Just like VPN services themselves, the internet is awash with VPN comparison websites. Some of these such as VPNCompare, BestVPN & That One Privacy Site has been around a lot longer than many of the newcomers. 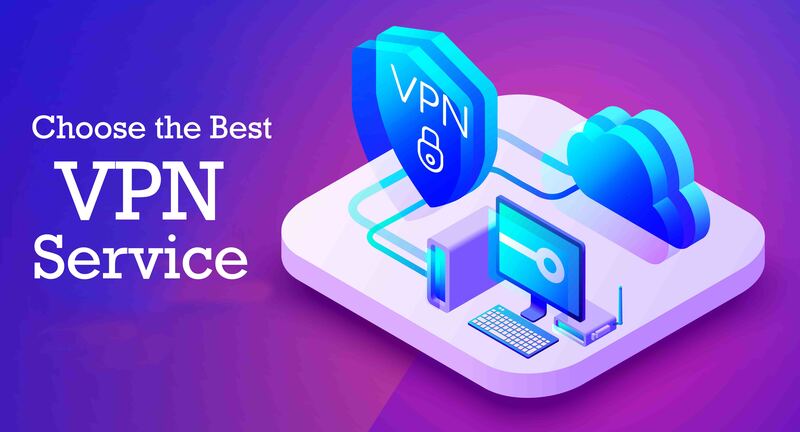 These established websites have seen the changes in the industry over the years and have been able to monitor VPN services for many years to make a detailed decision on which are reliable. When comparing VPN providers make sure you consult one of these established sites first. While reading VPN reviews can give you a good idea of their performance, how they perform for you can be a different matter. Always choose a VPN service that provides a money-back guarantee. Many offer 30-day guarantees, but it’s not uncommon to find providers that offer a 45-day warranty. Choosing a VPN service isn’t a one-size fit all affair. You may want a VPN for protecting your online privacy, you may want it for unblocking restricted websites, you may want it for anonymous torrenting, or you may even want it to watch overseas services like American Netflix. Look for the best VPN service for your needs. Consider the features on offer and if they’ll satisfy your requirements. These days any VPN provider worth its salt will offer dedicated VPN apps. Look for a VPN service that offers apps for your device. Most offer them for Android and Apple devices and Windows and Mac. However, there are some that support even more devices such as Linux and the Amazon Fire TV. Choose one that covers the devices you want to use it on. Selecting a ‘no log’ VPN service is essential. ‘No log’ VPN services don’t record or store any details of your activity while connected. Look for services that have proven no-log policies or that have been audited to back up their claims. Do some research on their no-log credentials by searching Google. If there are any doubts, then keep looking as there are plenty of other choices. VPN services are pretty cheap these days, but there are ways to save up to 50% or more on the regular price. Look out for promotional periods around Black Friday, Christmas and Halloween as these are the most discounted holidays. If one of those holidays isn’t coming soon then sign up for a year or longer. Savings of 50% or over are made when you subscribe for a year or more compared to paying every month. Everyone likes the sound of something free, but in the VPN world, you get nothing for free. If you are not paying for the service, then trust me, you are the service. Free VPN apps often monitor and record what you do while connected. There is no way to know the people behind the company or what they’re doing with your data. As you’re not paying for their service, they have no responsibility to look after your data. With popular VPN apps costing as little as a few dollars per month, it isn’t worth the risk. VPN services are popping up daily, and there are so many it’s hard to count them all. Quickly perform a basic Google search to find the history of the VPN service you’re considering. Look for mentions across the web over multiple years. If you can’t find people talking about the service or old posts about the service, then consider them a new provider and probably not worth the risk. With plenty of distinguished VPN services out there, there’s no need to go with an unknown entity. Good luck in your search for the best VPN, but whatever you do, make sure you’re using a VPN to keep yourself protected.